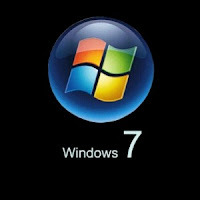 Windows 7 is gaining more populorty due to its golden features and gadgets, However you should activate your account to use win7 more than 30 days of trial period. But as i think you all know about "slmgr -rearm" command which incresecs the trial preriod from 30 days to 120 days. The hack(trick) shown here may be small but by using this hack you can use win7 for approx one year without activation. So lets see the process..
Step-1: Go to Start ►All Programs ►Accessories, Now right click on commnd prompt and select "Run as administrator"
Step-3: Now here comes the real game, just navigate to Start ►Run and type "regedit". So that you will be navigated to Registry Editor. Step-4: Once you navigate you'll see a key called "skipRearm" on the right side of panel, Just change its value to "1"
That's it, by doing this trick you will be able to use the command "slmgr -rearm" another 8 times so that you will be able to get another 240 days of trial period which you can use with out activation. By the whole thing you able to get 120+240=360 days of trial period. Hope this helps you! plz pass your comments.